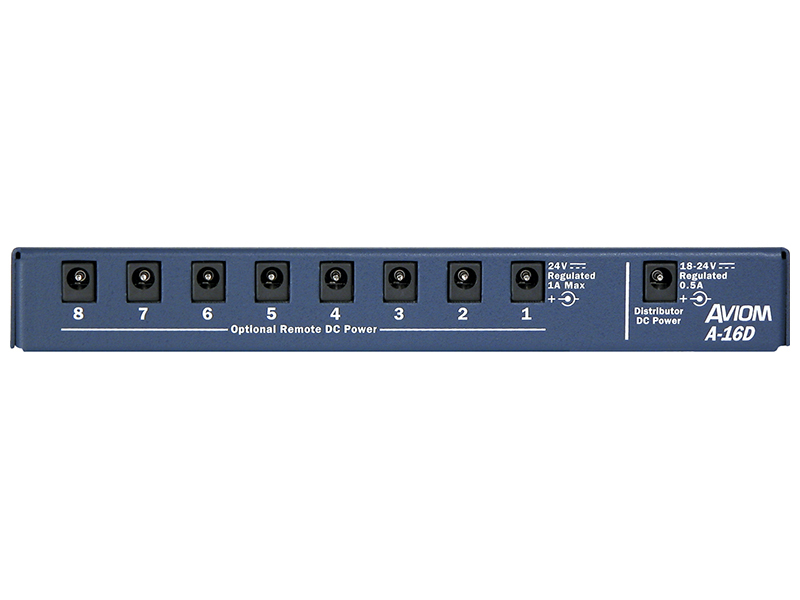 The 2U A-16D Pro is a great addition to any monitor mixing system. It simplifies setup by eliminating the need to connect a power supply to each Personal Mixer. For touring applications, the A-16D Pro can be placed in a rack on stage to make system setup as simple as plugging in a Cat-5 cable. 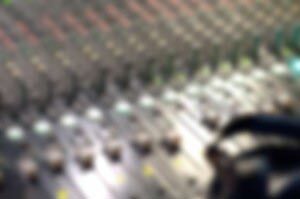 In studio applications or permanent installs, connect the outputs from the A-16D Pro to wall jacks or floor pockets, making monitor system wiring almost invisible. 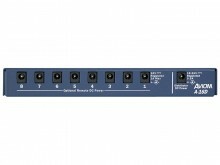 The A-16D Pro provides isolated (floating ground) DC power through the eight A-Net Outs; the ninth output is an unpowered A-Net Thru connector, designed for distributing a copy of the A-Net signal to a second A-Net Distributor or remote location. Inside the A-16D Pro is Aviom’s unique power sub-system design, which requires no external power supplies and which virtually eliminates the possibility of introducing hum or ground loops. The A-16D Pro can also be used as a central hub in an audio distribution system or snake, providing outputs to multiple locations or redundant outputs to a single location. All connections on the A-16D Pro are on the front panel. A pass-through cable cutout is provided for flexible cable routing. As with all Pro16 Series products, Cat-5e cable runs from the A-16D Pro to each connected Personal Mixer can be up to 500ft/150m long. 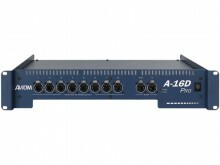 A-16II: At-a-GlancThe A-16D Pro A-Net Distributor simplifies monitor system connections and system setup by eliminating the need to daisy chain Personal Mixers while at the same time allowing them to be powered over the Cat-5e cable. 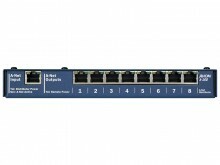 Each A-16D Pro A-Net Distributor accepts one Pro16 A-Net input signal from an analog input module or digital console card and provides eight parallel powered A-Net outputs plus one unpowered A-Net Thru connection, using heavy duty EtherCon connections throughout.